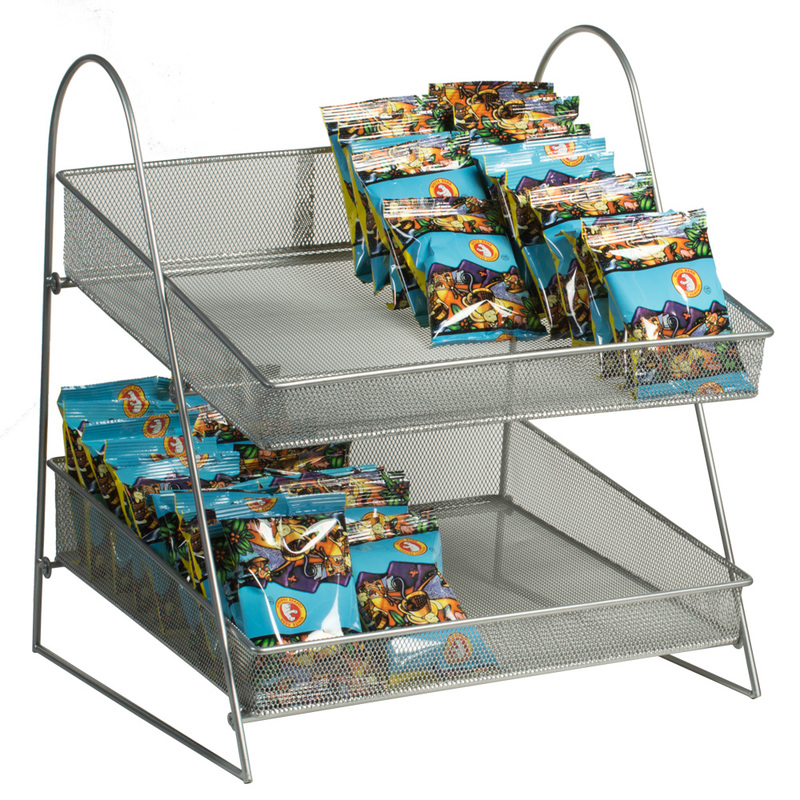 This two-tier mesh basket counter display is great for impulse items right at checkout. For maximum stability the baskets are welded to the display and have horizontal cross bars for added strength. Each shelf is 15 in. W x 15 in. D x 1 3/4 in. H to 3 in. H sloping.